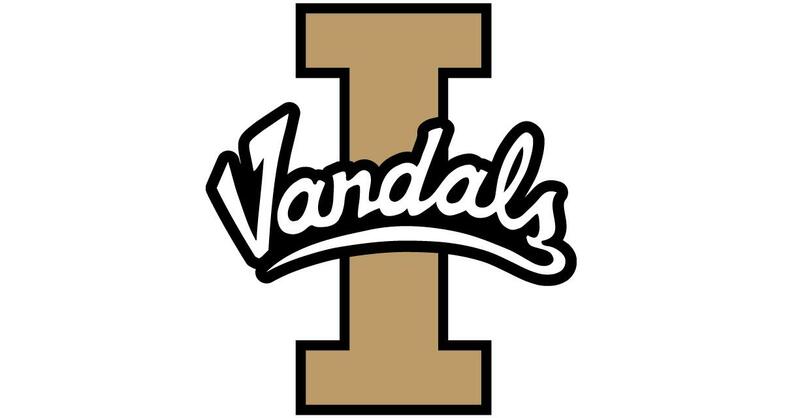 UPDATED: Sat., Feb. 17, 2018, 11:07 p.m.
MOSCOW, Idaho – In a game in which Idaho consistently came up with big plays, it saved the best for last. Nate Sherwood tipped in Brayon Blake’s missed baseline drive at the buzzer as the Vandals edged Montana 79-77 in overtime in Cowan Spectrum on Saturday. Blake led Idaho with 27 points. Sherwood said the plan was to get the ball in his hands for the final shot. When he drove, Montana’s interior defenders moved to challenge him. That left Sherwood alone for the tip. “I happened to be in the right spot at the right time,” he said. “(Blake) drove it strong to the basket. They rotated over, and Nate came from the weak side,” Idaho coach Don Verlin said. Verlin had expected rebounding to be key. “What did it do? It came down to a rebound to win the game,” he said. “What a play by Nate Sherwood. “Our guys played extremely hard. They fought like crazy. The Vandals played the conclusion without their career No. 2 scorer, Victor Sanders. He fouled out with 21 points with 3:46 left in overtime. The Grizzlies’ Michael Oguine hit a pair of free throws to put Montana up 73-71, but Blake made that short-lived. He responded with a driving layup, and after he was fouled by Fabijan Krslovic, Blake hit the free throw. The teams reached overtime when Blake fouled Kryslovic with 46 seconds to play in regulation. Kryslovic’s first free throw crawled over the front rim. The second, though, rimmed out. That left the score tied at 71. After Sherwood missed a jump shot, Montana got two more tries in the final 20 seconds. Rorie Ahmaad led the Grizzlies with 21 points, but he missed a shot with 6 seconds to play, and Bobby Moorehead’s putback from the baseline fell short as time ran out. Idaho enjoyed a pair of 10-point leads in the first half. But the Grizzlies overcame both, and Montana enjoyed a couple of brief leads it couldn’t extend. With Montana up 29-27, Blake jumped a pass to Krslovic, tipped the ball, outraced Krslovic to it and took it to the basket. The half ended tied at 35 after Blake connected on a pair of free throws and Idaho’s Trevon Allen hit a short jumper before the clock ran out. Verlin and Montana coach Travis DeCuire have experience either coaching with or playing for former Montana and Utah State coach Stew Morrill, Verlin noted. It showed in what the teams tried to do on offense. Both ran shooters through a thicket of screens trying to rub off defenders. When it worked, the tactic freed shooters for perimeter shots in rhythm. Idaho shot 27 of 52 from the floor and 12 of 19 on 3-pointers, an eye-catching 63.2 percent. Montana was 27 of 57 overall but only 6 of 16 on 3- point attempts. Montana’s success doubling Idaho’s ball screens, though, led in part to Idaho’s 16 turnovers and forced the Vandals to go away from that offense. The win improved Idaho to 19-7, 11-3 in the Big Sky Conference. After falling to Eastern Washington Thursday, Montana has absorbed its second conference loss. The Grizzlies are 20-7, 13-2 in the league. Published: Feb. 17, 2018, 10:48 p.m. Updated: Feb. 17, 2018, 11:07 p.m.